Remove the headlamp. 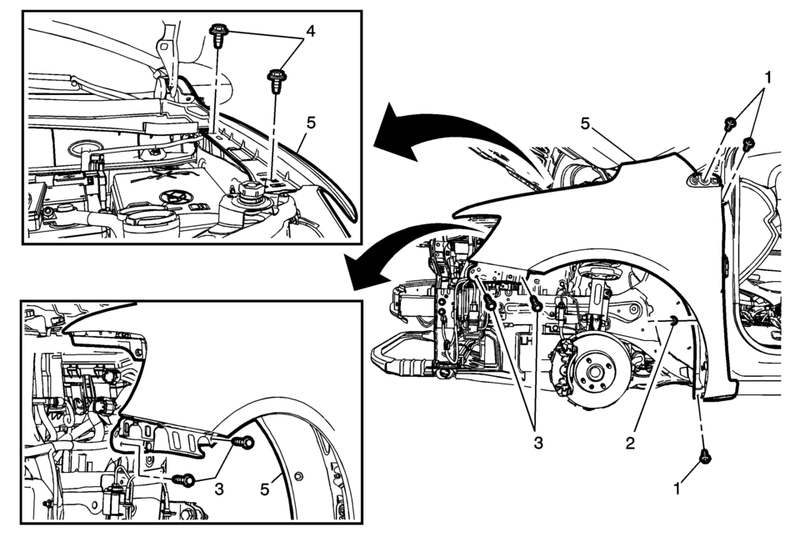 Refer to Headlamp Replacement. Remove the front wheelhouse liner front and rear. Refer to Front Wheelhouse Liner Replacement. Remove the body side upper front applique. Refer to Body Side Upper Front Applique Replacement. Remove the front bumper fascia guide. Refer to Front Bumper Fascia Guide Replacement.